View the eight strategic lenses through which organizations can address experience improvement and excellence. Identify resources to address your specific patient experience needs. Join the global community of practice for resources and connections to guide your patient experience journey. Learn, share and collaborate with peers in discussion groups related to elevating the human experience. The Beryl Institute is the global community of practice dedicated to improving the patient experience through collaboration and shared knowledge. 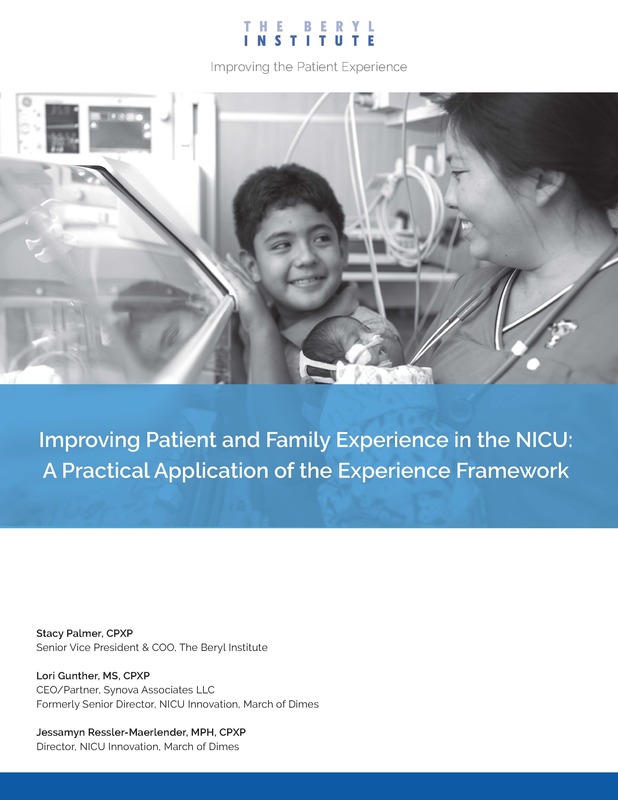 With insights transferrable to many settings and service lines, this white paper examines patient experience in the NICU through The Beryl Institute’s Experience Framework which includes eight strategic lenses through which organizations can address experience improvement and excellence. Where are you excelling and where do you have opportunities for improvement? 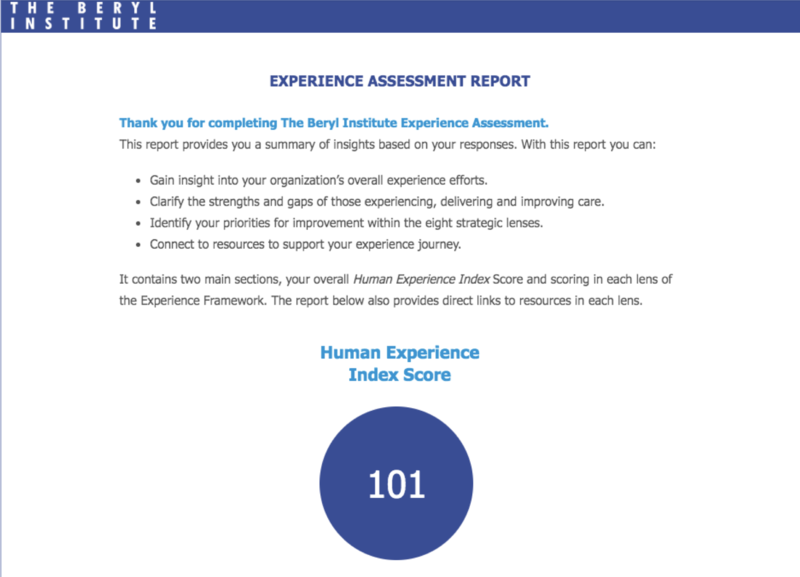 Find out now through the Experience Assessment, a quick tool in which you can individually or organizationally identify how you are performing in each of the eight strategic lenses.